At KPGTC, we concentrate on delivering professional data entry services. Our customers vouch for and rely on the value added services we provide. We value each character that is typed, and its impact on your business. Our team’s expertise and experience makes data entry an efficient and productive activity that allows data to be used in a manner that is beneficial to your business objectives. Our professional methodology includes understanding your needs from all perspectives of data entry. We are highly conscientious of our clients’ timelines, and delivery requirements. 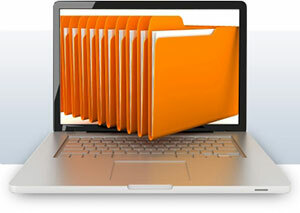 Our employees are skilled at impeccable and swift data entry skills. The work methodology involves having a thorough awareness your requirements, so as to ensure that every piece of data entered, is directed towards meeting your business goals. We are also aware that accuracy is important, and therefore double check each piece of data before it reaches you. We strive to ensure that your data aids your business, and satisfies your long term data entry requirements. Our expertise is in translating to and from English to Arabic. Whether it is books, surveys, questionnaires, reports, legal documents, or transcribed materials, we can translate from just about any source you give us to your specified format. Our team of experienced translators is capable of high quality and timely translation per your needs. Document scanning is a process of scanning the paper documents and converting them into image formats. These images can then be stored whilst the bulky paper-work can be purged to save a lot of space. Maintenance and retrieval of this soft copy image format becomes much easier than the conventional paper documents. You now have the right outsourcing partner for document scanning services with KPGTC. Optical Character Recognition or OCR is a domain in data entry where machines read text from paper and convert them into soft copies. These soft copies can later be stored, retrieved and edited by individuals or machines. This results in reduced paper management costs and easy access to valuable information.